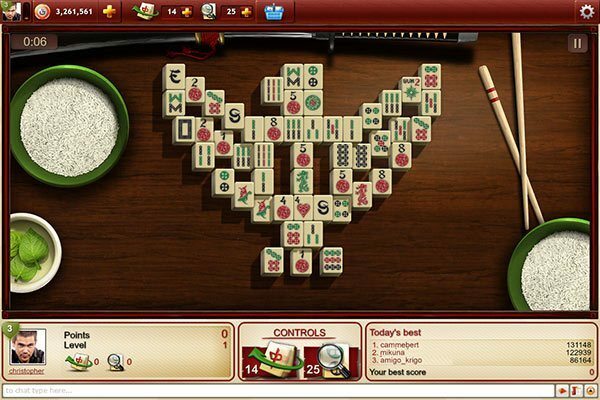 Mahjong – game rules. 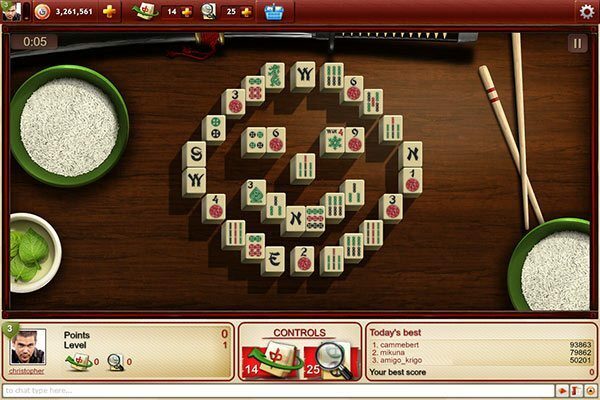 Mahjong ABC – see how to play Mahjong on GameDesire! Nakolik jste všímaví? Zahrajte si s přáteli! - Bonuses - (containing "seasons" and "flowers"). We offer two kinds of tile sets: a TRADITIONAL set and a EUROPEAN one. There are three categories ("characters", "bamboos" and "circles", which are also called "balls" or "dots") and numbered from 1 to 9. There are 4 tiles of each kind in every category, totaling 108 tiles in the set. The tiles numbered 1 and 9 are called "the ends", and the tiles numbered from 2 to 8 - "the ordinary ones". There are two categories: "dragons" and "winds". There are three kinds of dragons: red, green and white, as well as 4 kinds of "winds" - east, south, west and north. As with "characters" there are 4 tiles of each kind, totaling 28 Honors. There are 4 "flowers" and 4 "seasons". Both categories consist of one tile of each kind only, numbered from 1 to 4. Since there is only one tile of each kind in the set, BONUSES can be combined in pairs in any way - not only within a category but also within the whole BONUSES set. For example, SPRING can be combined in a pair with any tile within the FLOWERS category. A player gets points for each pair taken off the table. They are calculated in the following way: the point value of each set (the chart below) is multiplied by the number of pairs still left on the table. 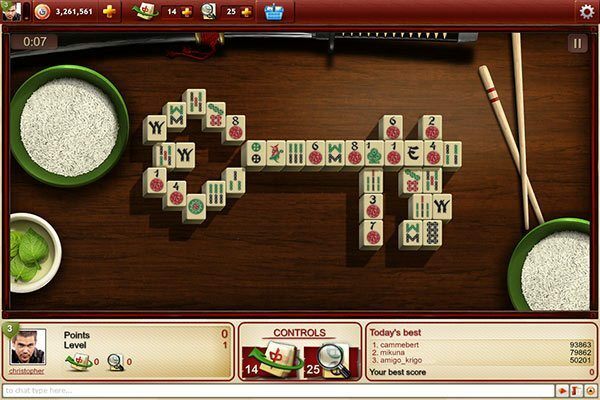 For example, when a game is started, there are 72 pairs of tiles on the table. 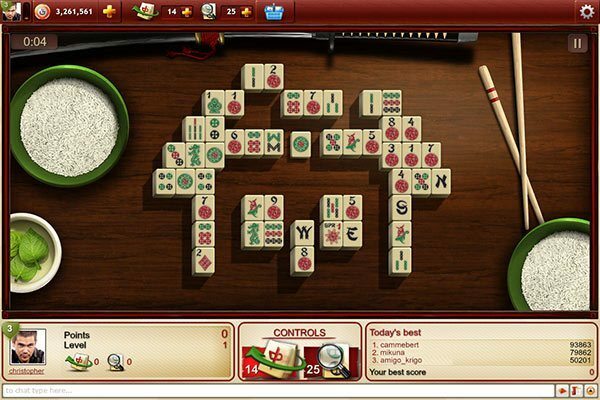 If a pair of bamboo tiles is removed from the table, the player gets 3 (the set value) x 72 (pairs on the table) = 216 points. The next pair taken off the table is multiplied by 71, and so on, until all pairs are removed from the table. In case of a BONUSES set pair, the multiplier is the tile of the category that is scored higher. For example, a FLOWER + a SEASON collected in the first move is scored 7x72=504 points, while a FLOWER + a FLOWER will be scored 6x72=432 points. A European set of tiles is presented below. The rules for collecting and scoring are the same as in the traditional version. - for 12 players in the game: +6/+5/+4/+3/+2/+1/0/0/0/0/0/0.